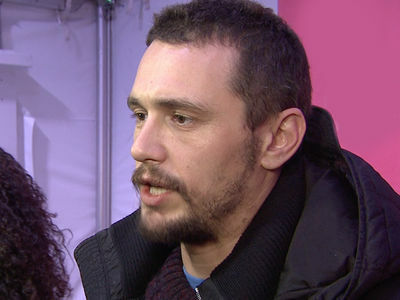 Time's Up for James Franco on Sunset Blvd. James Franco's art and life are getting uncomfortably close ... 'cause the Time's Up movement is breathing down his neck on Sunset Blvd. 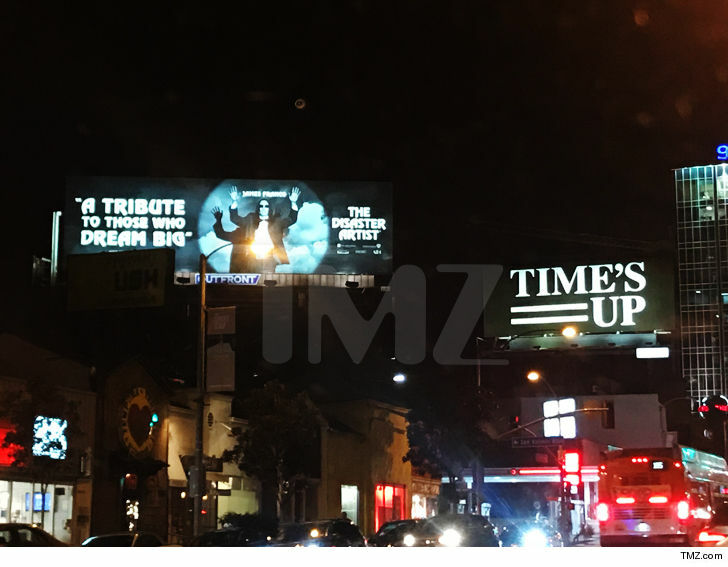 A new billboard recently went up in Hollywood for Franco's movie, "The Disaster Artist" -- which sits just in front of a Time's Up billboard no more than 100 yards away. Unclear which one went up first -- it's awards season, though ... so movie promotions are popping up all over L.A. Either way, it's awkward placement. As we reported ... Franco's been accused of sexual misconduct by at least 5 women. 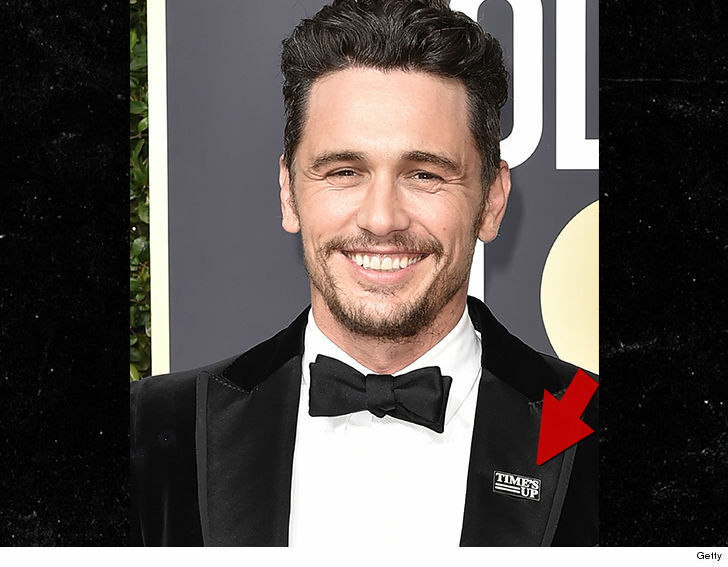 The accusations initially surfaced during the Golden Globes where the actor rocked a Time's Up pin. He's now avoiding public events, such as last weekend's Critics' Choice Awards ... where he won for best actor.